I have a love for side dishes, however unless it's a meal that I'm trying to impress with, like a dinner party for friends or family, I typically don't spend a lot of time on side dishes. Most nights I tend to just throw some veggies in a steamer, roast them or grill them and pair with a pasta side, potatoes or some other starch. 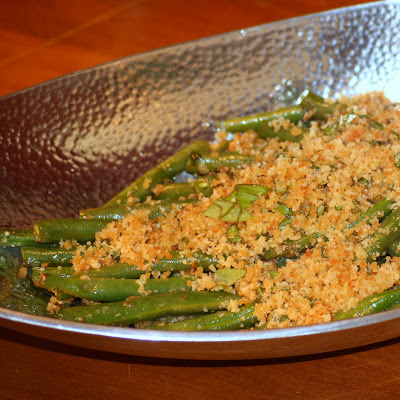 While browsing through Pink Parsley Catering, a new favorite blog of mine, I saw these amazing looking green beans that looked perfect for a quasi-dinner party I was hosting not so long ago. 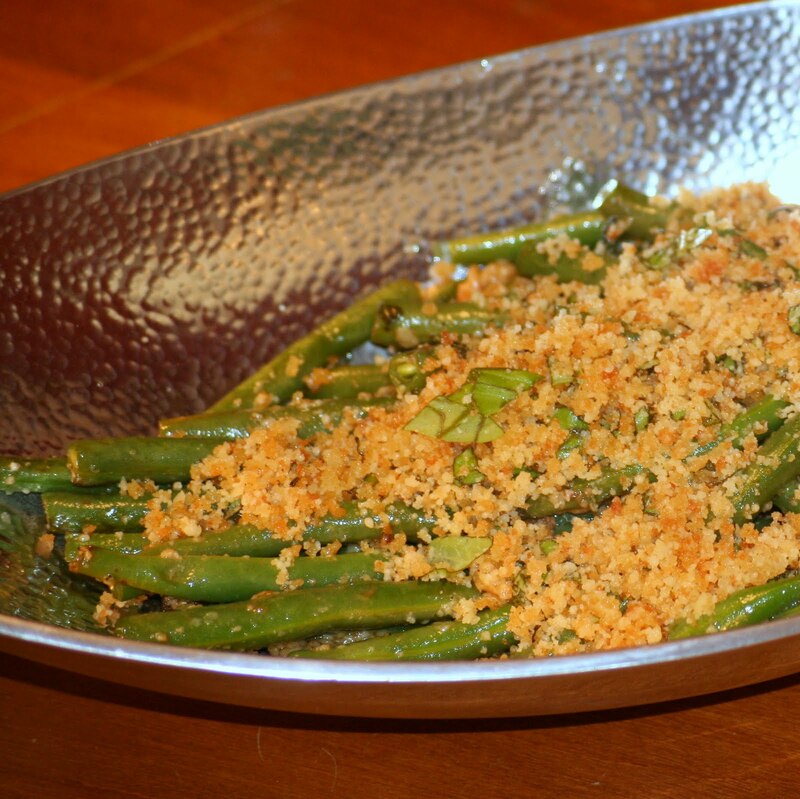 These green beans ended up being easy enough that I think I'll have to add them in to my arsenal of go-to side dishes. Yes, they are a little more time consuming than just sauteeing or throwing in a pot to steam, but in the end they're really not all that time consuming and are so worth the extra few minutes. This looks great! Sounds tasty too!! Do you not care for all tomatoes?? Or just not cooked tomatoes? Now this is a recipe that could get me to eat my veggies! It looks really great! sounds fabulous & fancy! Great idea to jazz up a side dish! Pup - it's really a consistency thing. I like tomato flavors so sauces and stuff, but chopped tomatoes I'm really not a huge fan of. I eat them but I usually end up picking some out, halving in recipes, etc. I wish I liked them more because I wouldn't feel as left out around the chips and salsa as I do at happy hours!